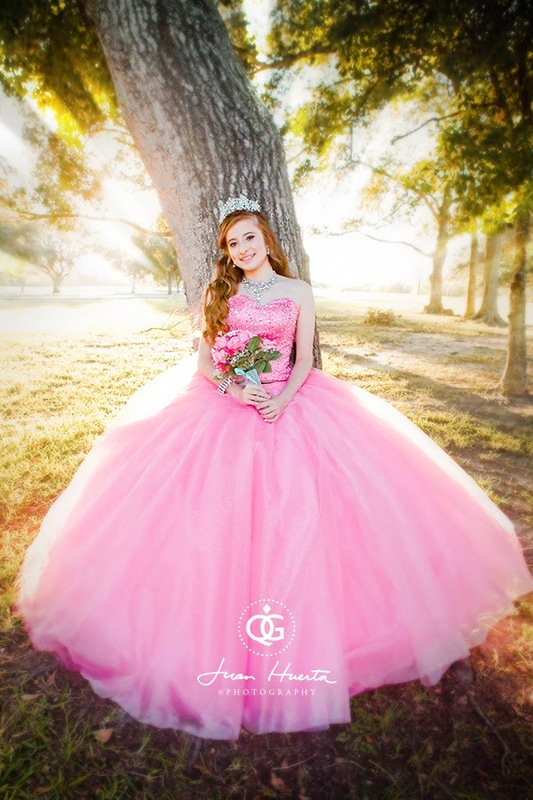 Sorrounded with families and friends we celebrated Arianna's quinceanera last night at the upscale Quail Valley Cinty Centre Reception Hall in Missouri City, near Houston, Texas. 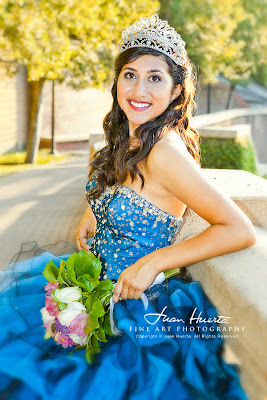 The evening was crowned with a typical Fall night, with beautiful starry skies and cool, nice temperatures. 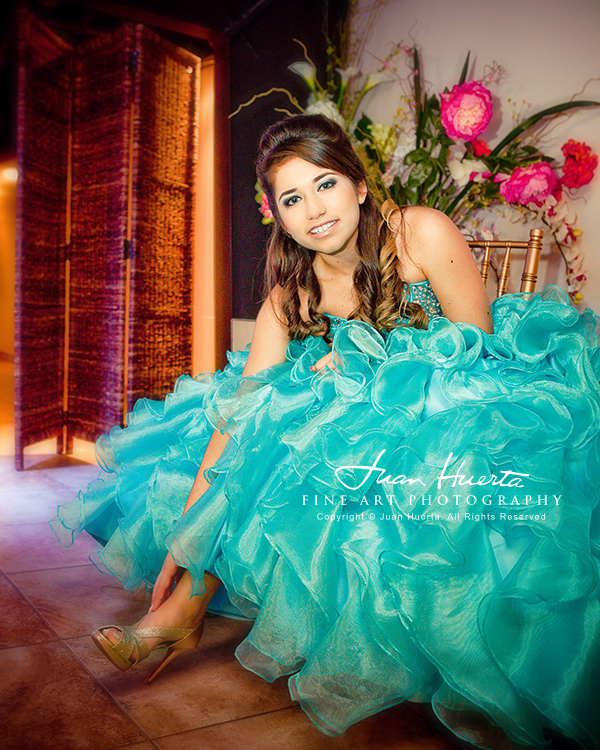 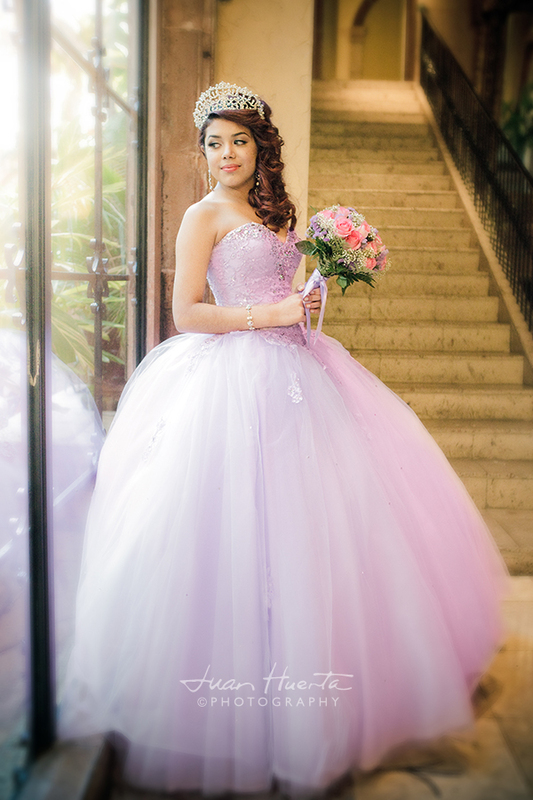 This was the perfect scenario for the quinceanera, who had chosen a "night theme" for her quinceanera's celebration. 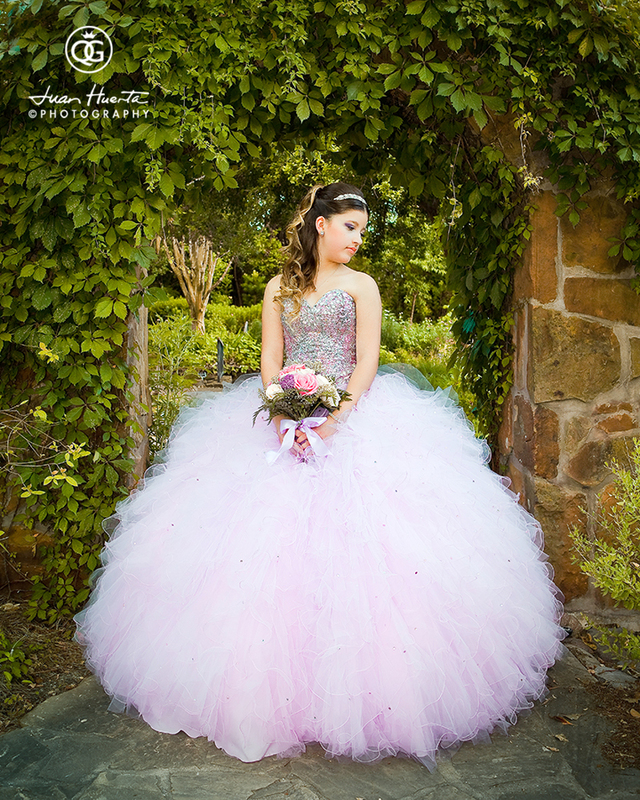 The quinceanera's dress resembled a beautifully star-lit evening and that's why, during the pre-session, we went for a few portraits that could express such connections. 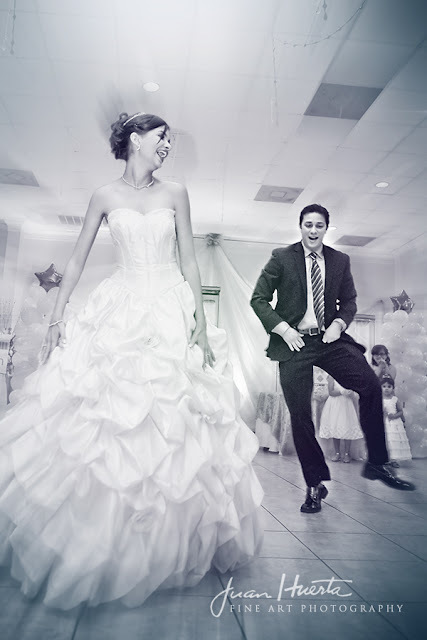 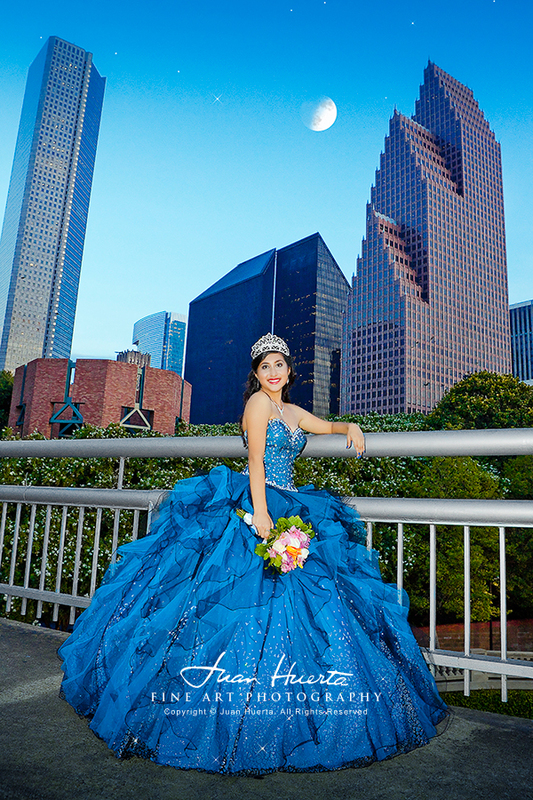 The portrait below is a sample of our interest for showing the connections between the quinceanera's theme and the beauty of the Houston's skyline at dusk. 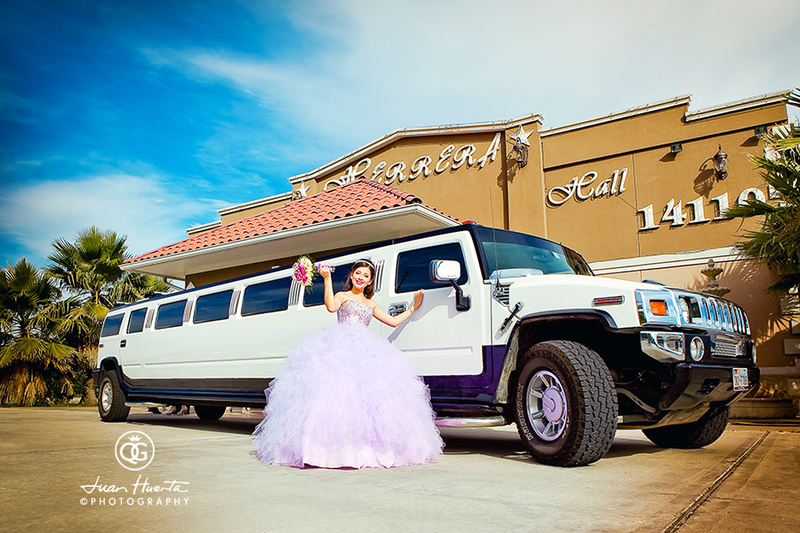 For this quinceanera's portrait, we intended to blend in both the quinceanera's theme and the endless artistic possibilities of the city scape. 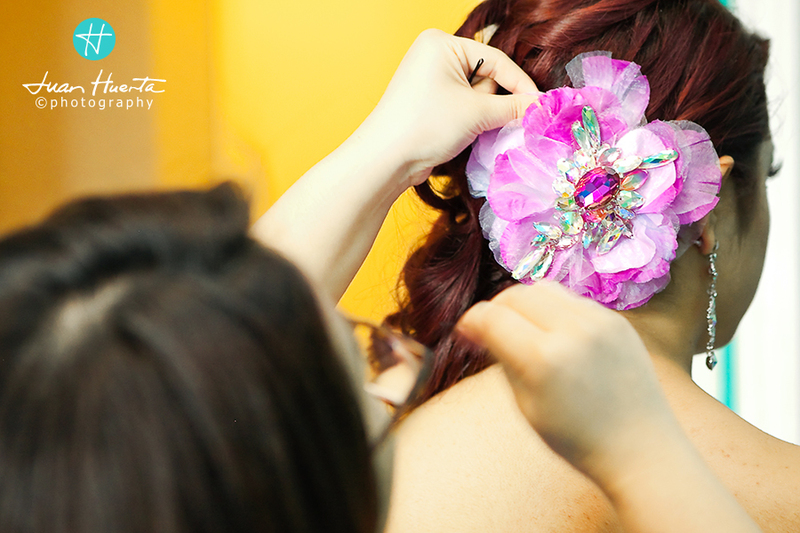 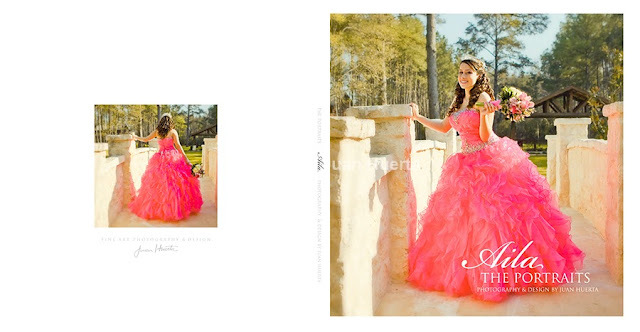 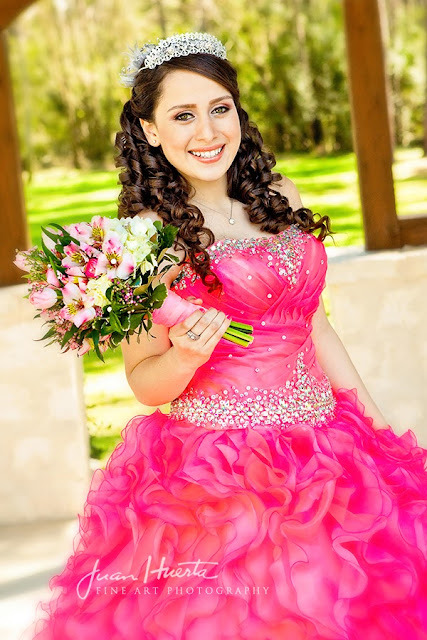 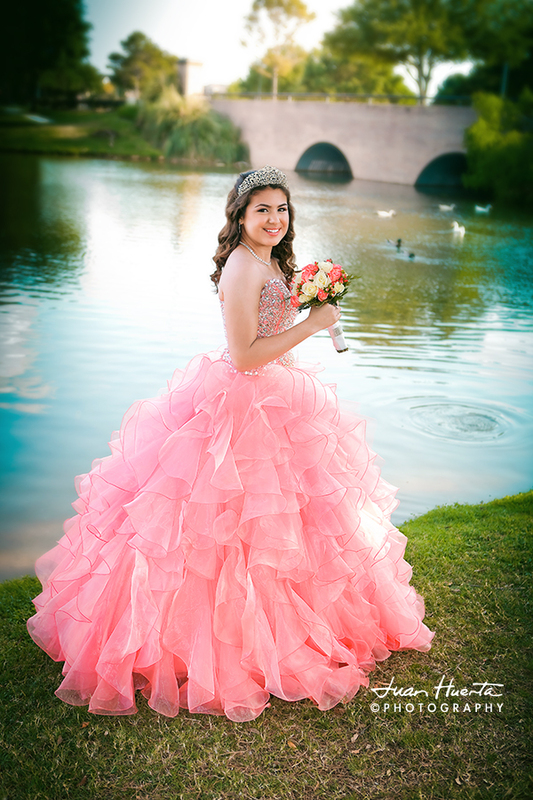 Check out this quinceanera's party celebration here.